Rhi’s new collection is inspired by urban themes; focusing on graffiti, textures and lines, qualities often unnoticed. 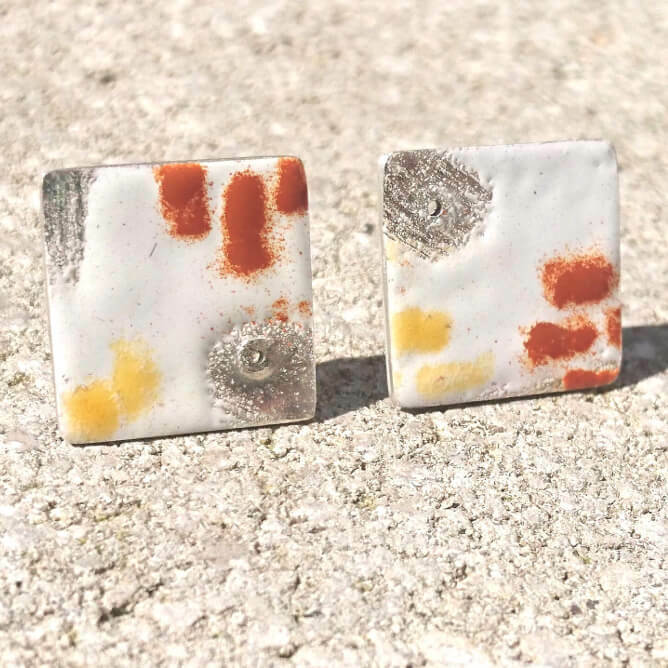 Using enamelling techniques with sterling silver, Rhi creates these unique wanton pieces, small grungy works of art to adorn the body! Please note due to being handmade and the enamelling process, no two pieces are the same, this makes the piece unique. Rhi has always had a love of jewellery, adorning the body with sparkly beautiful things! After graduating from Hereford College of Arts in 2014, Rhi moved back home to the seaside town of Porthcawl, South Wales, setting up a small studio in her spare room. This is where she designs and makes each piece. 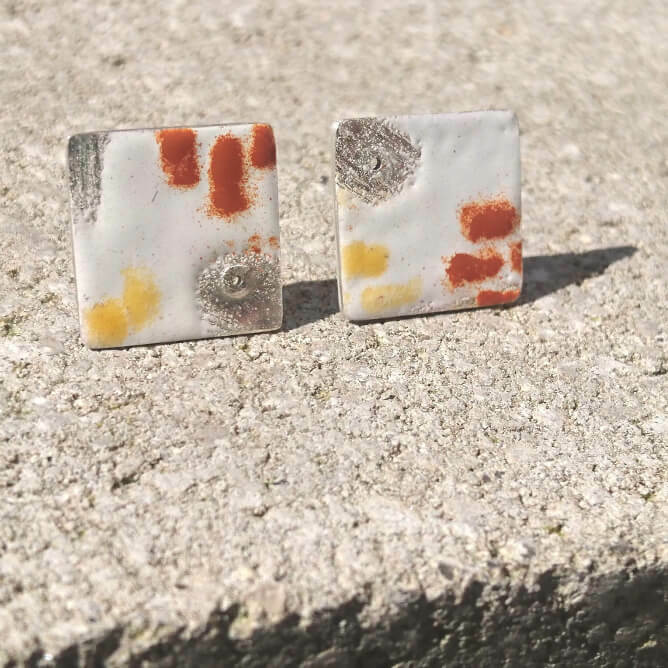 Since graduating, Rhi has exhibited her work across the UK, selling through galleries as well as online, working mainly with silver, stone setting and enamels. 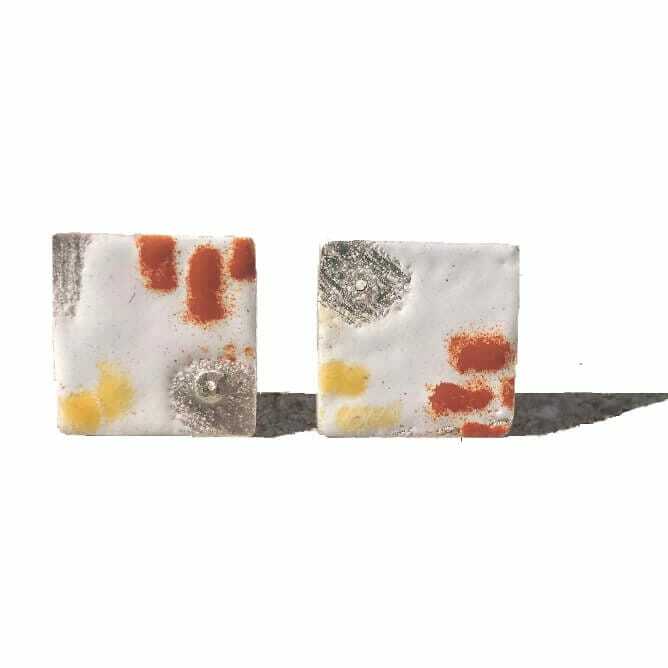 Both Rhi’s collections are inspired by urban scenes; ‘Off The Rails’ features textured surfaces, chunky rivets combined with Welsh slate and semi precious stones.